Successfully Added Box Mod Warlock Z Box 233 - 510 Thread, Temperature Control, Variable Wattage, LED Display (Carbon Fiber) to your Shopping Cart. With its all-black carbon fiber design, the Warlock Z Box 233 Box Mod certainly separates itself from the rest. Its extraordinary design is, however, not all this stunning vape mod has to offer. With a variable Wattage ranging from 7 to 233W, you can be assured that this powerful box mod is sure to handle all vaping demands. Added to that, it also features adjustable temperature that can set from 95 up to a staggering 315 degrees Celsius. Thanks to this, it allows you to fully adjust your upcoming vaping experience. Featuring a 510 thread, this box mod from Warlock can be used with the vast majority of RTA’s available. Simply attach your beloved tank atomizer and fill it up with your favorite e-liquid. After this, you’ll be all set to enjoy a relaxing vape. 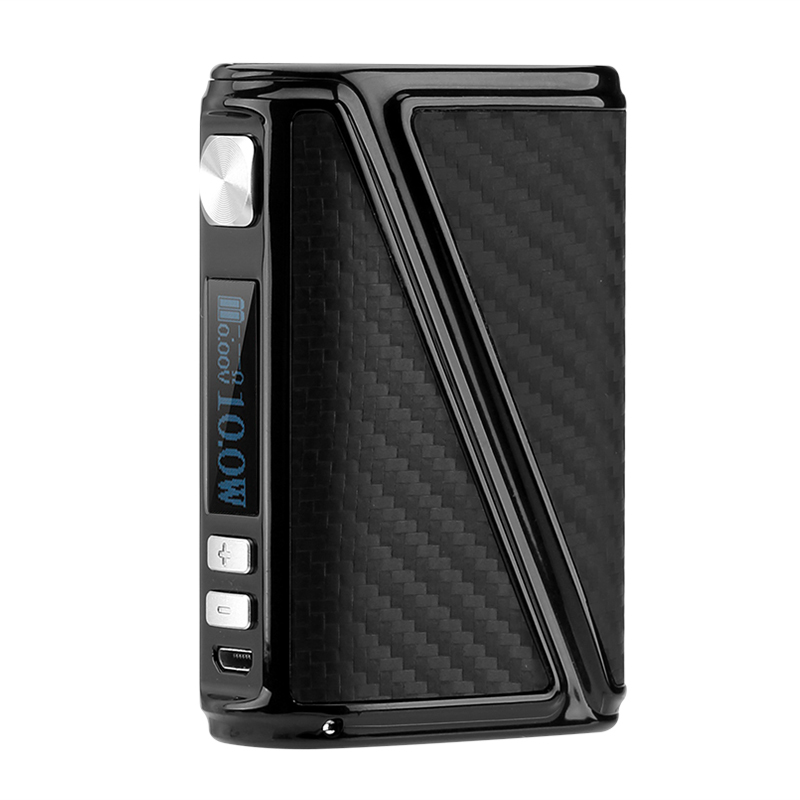 As this box mod is powered by two large 18650 batteries (not included), you’ll have plenty of juice available. Therefore, you will be able to enjoy a vape filled day without needing to worry about battery life. Intergraded within its tough and stylish design, you’ll find a small LED display. This display continuously keeps you updated about your current wattage, voltage, temperature, and battery settings. Thanks to this, you can be assured that you’ve always enabled the right settings to enjoy your upcoming vape to its absolute most. For people that are looking for a powerful vape mod to enhance their vaping experience, the Warlock Z Box 233 certainly is a box mod to consider. This box mod comes with a 12 months warranty, brought to you by the leader in electronic devices as well as wholesale electronic gadgets..